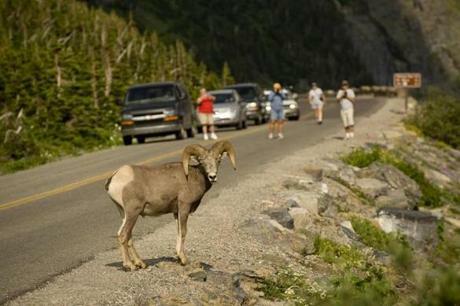 Glacier National Park’s Going-to-the-Sun Road offers magnificent views. 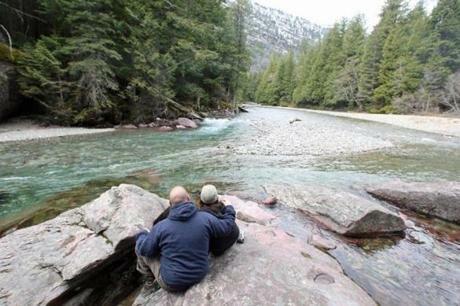 Some parts of the park are accessible year-round, but most of the 13 campgrounds open in mid- to late May, depending on the weather. 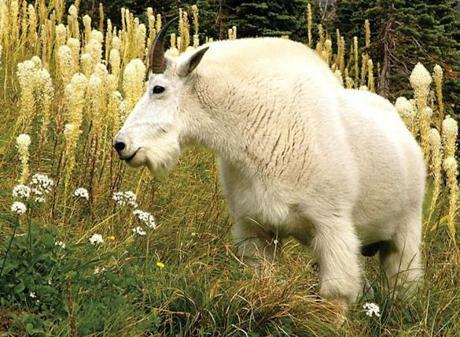 A mountain goat along the main road that runs through Glacier National Park near Kalispell, Montana. 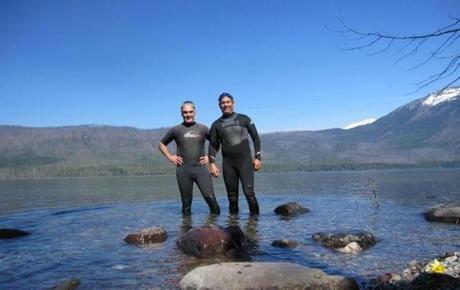 The average high temperature is 57 degrees in April, 73 in June. 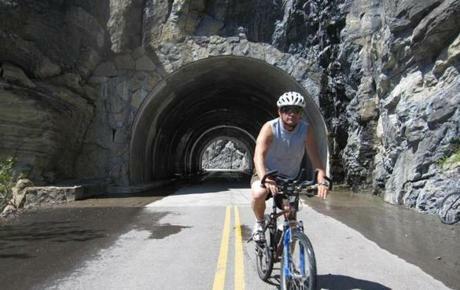 The author and his group cycled 11 miles uphill on Going-to-the-Sun Road to where it was blocked by an avalanche. 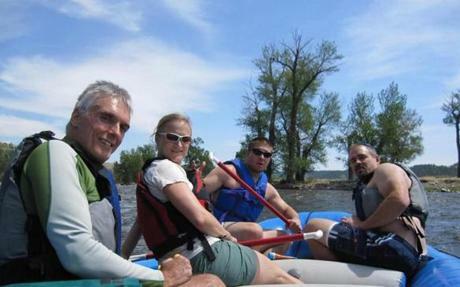 The Stillwater River, a tributary of the Yellowstone, was running high on snowmelt and churnin g up sediment. 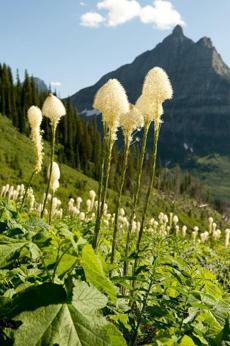 A view of beargrass off Going-to-the-Sun Road. 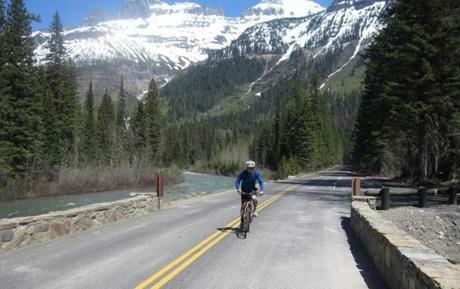 Mid-May is the sweetspot for Glacier National Park, as road repairs and avalanches can prohibit motorized traffic. 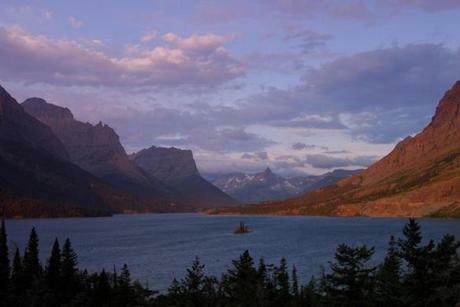 The forest occasionally gives way to dramatic views of nearby peaks. 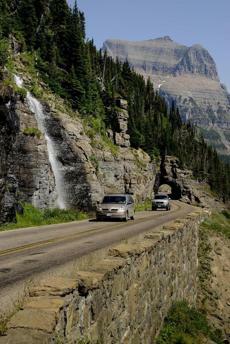 Going-to-the-Sun Road meanders up and over the divide between Lake McDonald and St. Mary Lake (pictured). 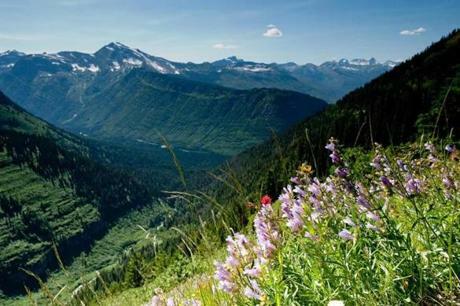 A breathtaking view on the road less than 4 miles from Logan Pass. 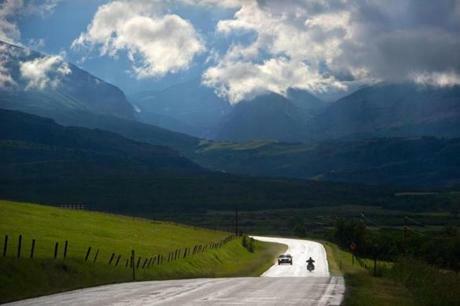 Highway 89 outside Browning, Montana, parallels the boundary between Glacier National Park and the Blackfeet Indian Reservation. 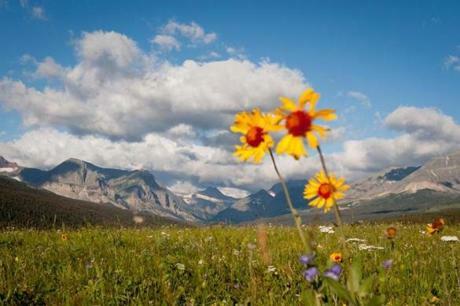 Glacier National Park is known to Native Americans as the “Shining Mountains” and the “Backbone of the World,” according to the National Park Service. 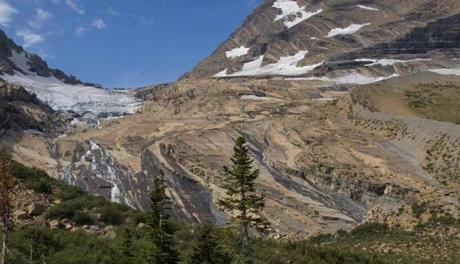 The park is named for its prominent glacier-carved terrain and remnant glaciers descended from the ice ages of 10,000 years past. 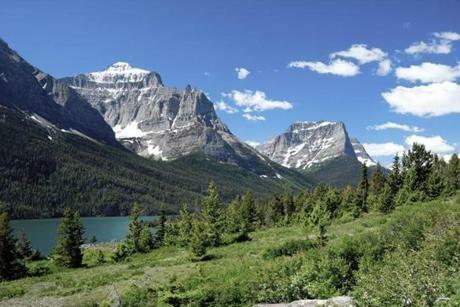 In 1932 Glacier National Park and Waterton Lakes National Park, across the border in Canada, were designated Waterton-Glacier International Peace Park. 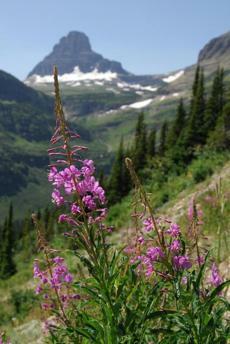 Glacier National Park’s diverse habitats are home to nearly 70 species of mammals. 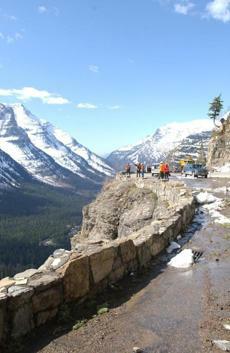 Going-to-the-Sun Road has been dedicated as a national historic civil engineering landmark.